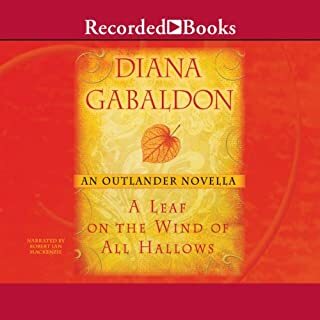 Hurtled back through time more than two hundred years to 1743 Scotland, Claire Randall finds herself caught in the midst of an unfamiliar world torn apart by violence, pestilence, and revolution and haunted by her growing feelings for a young soldier, James Fraser. Outlander is the best book series i've ever read! 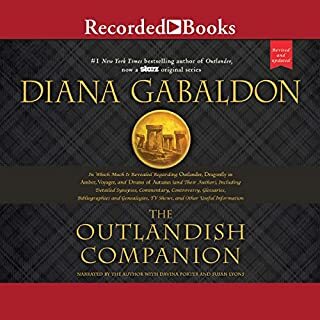 The author presents a collection of seven short stories set in the Outlander universe, never before published together, including two original stories and featuring beloved character Jamie Fraser. Number-one New York Times best-selling author Diana Gabaldon has captivated millions with her critically acclaimed Outlander novels, the inspiration for the Starz original series. 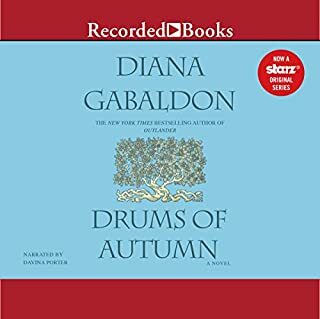 From the moment Claire Randall stepped through a standing stone circle and was thrown back in time to the year 1743 - and into a world that threatens life, limb, loyalty, heart, soul, and everything else Claire has - fans have been hungry to know everything about this world and its inhabitants, particularly a Scottish soldier named Jamie Fraser. A companion for those who want to understand the novels and the Author. 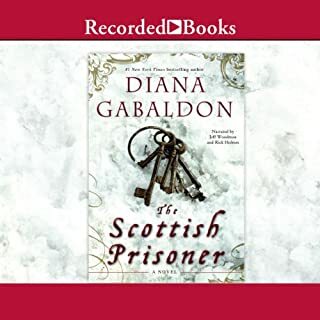 Available for the first time as an audiobook in this original Outlander novella, Diana Gabaldon reveals what really happened to Roger MacKenzie Wakefield’s parents. Orphaned during World War II, Roger believed that his mother died during the London Blitz, and that his father, an RAF pilot, was killed in combat. But in An Echo in the Bone, Roger discovers that this may not be the whole story. Now, in "A Leaf on the Wind of All Hallows," readers finally learn the truth. 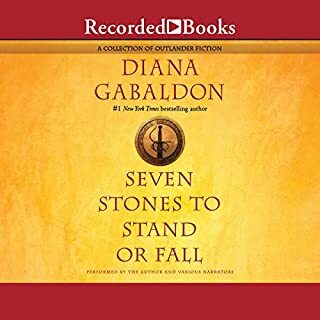 Diana Gabaldon's immensely popular Outlander saga soars to new heights with this seventh novel, which takes listeners on a breathtaking journey to 1777 America. Jamie Fraser knows from his time-traveling wife Claire that, no matter how unlikely it seems, America will win the Revolutionary War. But that truth offers little solace, since Jamie realizes he might find himself pointing a weapon directly at his own son - a young officer in the British army. 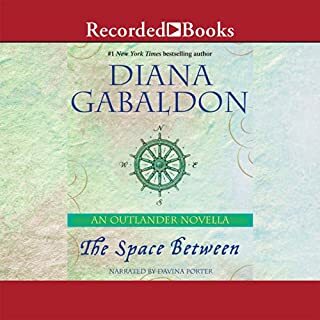 And Jamie isn't the only one with a tormented soul - for Claire may know who wins the conflict, but she certainly doesn't know whether or not her beloved Jamie survives. Epic in scope and featuring a colorful cast that includes many legendary figures - including hero-turned-traitor Benedict Arnold and bawdy statesman Benjamin Franklin - An Echo in the Bone is a thrill from start to finish. Love this series. I have read all the books. 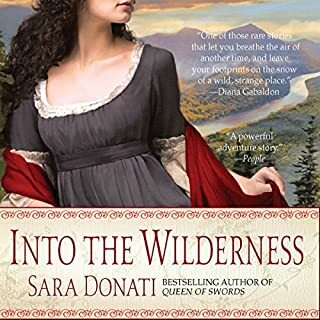 Good book as you would expect but is kinda like an anime with a cliff hanger not concluding anything with Brianna's son. love this series! I am in awe of Davina Porters narrating skills! I highly recommend this series. Can listen to this story over and over! Diana Gabaldon is a fantastic story teller!! I found this book to be a bit hard to stick with. Not sure if I will be listening to the next one. Rather long winded. loved it. these books make my commute tolerable. .. it's like hearing about old friends with exciting adventures. great voicing done by Davina. Davina does a great job with various accents and voices to clearly bring life to each character. the book is well written however i did find this one ends a little abruptly but i suppose that is a great way to be sure you'll come back for more. Book 7 and I was still fully invested in the story. I love the detailed descriptions of what life must have been like back then and found this book to be very entertaining. I rated it a four because the original book, Outlander really can’t be beat for sheer romance, suspense, adventure etc. First off, Davina Porter is hands down my favorite voice ever, no contest. I'm tempted to buy other audio she has done just to listen to a masterful voice actress. As far as Echo goes, I enjoyed it as much as any other Outlander book to date. I have an understanding that this feels like a transitional book (because Jamie and Claire can't live forever) but the character development of Roger, Brianna, Jeremiah and William are comforting for a potential new series. 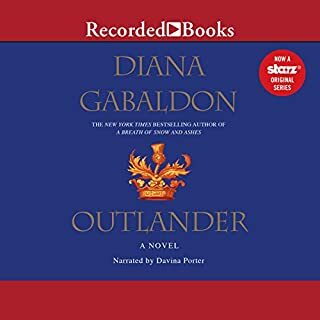 The thing I appreciate the most is an extremely long story that has such vivid detail and picks up and answers questions that may have been left in past outlander books. I actually get a little sad when the book is done because I know it will be some time before another new work is released. Thanks Diana and Davina!! The design on the book cover is intentional. 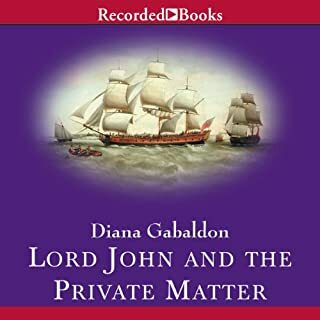 There are 4 storylines that weave throughout the book: Jamie and Claire's continuing adventures in the midst of the American Revolution; Lord John and his son, who are on the British side; Roger and Brianna and their children; and Ian. The story lines converge and separate, with a lot of cliffhangers at the end, which will obviously be concluded in the next, and possibly last book of the series. I strongly urge new readers to first read both the earlier "Outlander" books and at least the "Brotherhood of the Blade" about Lord John Grey. 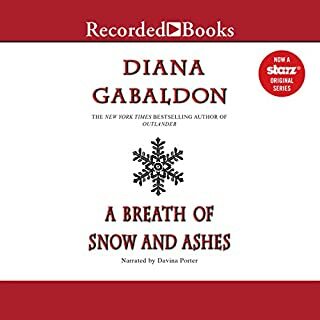 Most are in unabridged audiobook form -- only "The Fiery Cross" and "A Breath of Snow and Ashes" have yet to be released [contract reasons] "Echo" is less a stand-alone than the other books, although Gabaldon does provide backstory. Davina Porter does her usual wonderful job with the narration and the voices. She really gets Jamie and Claire perfectly, along with the subsidiary characters. "Echo" has been long awaited, and lives up to the expectations. It has been five years since "An Echo in the Bone" was published, and the long awaited Volume 8 is finally imminent (June 2014). 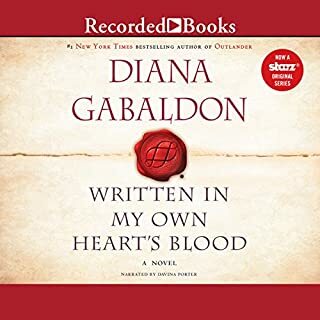 Although readers are now five years older, the forthcoming "Written in My Own Heart's Blood" will apparently pick up the story on the same day (well at least one of the same days) "Echo" ended. 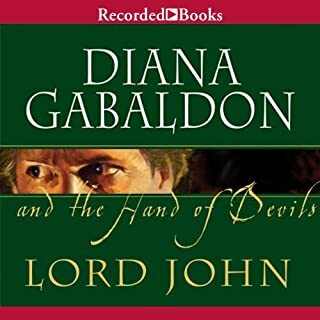 I started listening to this series four years ago and listened to them all in sequence (along with the Lord John Grey books--and a lot other books in between). I just recently finished "Echo," so I guess I timed it right. I can't imagine how frustrating it's been for fans of the series who read "Echo" when it came out to have had all those cliffhangers hanging all this time. You've probably re-read the book in anticipation of the new one; it's certainly a good idea to do so. After three books set claustrophobically in frontier North Carolina and stories centered almost exclusively on Jamie, Claire, Roger, and Brianna, in "Echo" we *finally* get off of Fraser's Ridge--with a vengeance! If almost nothing happened in "Fiery Cross" and the action was slow (and mostly depressing) in "Snow and Ashes," then "An Echo in the Bone" seems determined to make up for it. Not only do characters from previous books (notably Ian, Lord John, and William) now take center stage right along with J,C,R&B, we are suddenly world and time travelers again. The action covers much of the American east coast, has great scenes in Scotland (in TWO story lines, 200 years apart! ), and for kicks throws in several scenes in London and France. We meet historical characters, including Benedict Arnold and a naked Ben Franklin. Even Rollo the Wolfhound gets featured actor status. 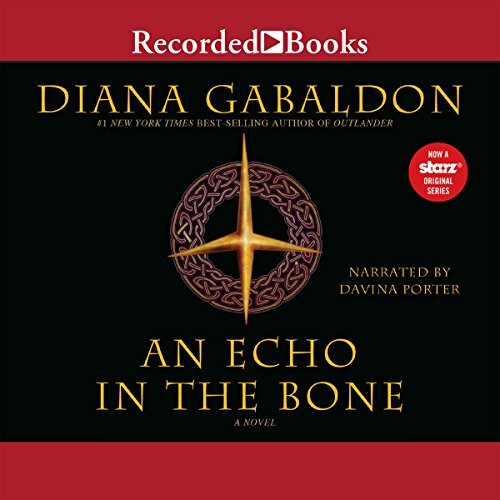 The mind reels and the plot jumps can be hard to follow, but I enjoyed "An Echo in the Bone." I'm especially grateful for the action-packed pace after the previous two snoozers. 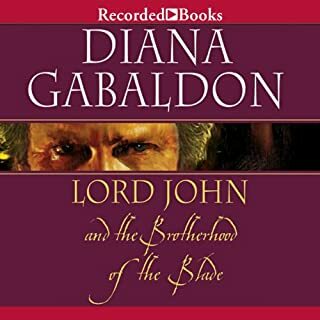 I think you do need to have read "The Brotherhood of the Blade" in the Lord John series to fully appreciate "Echo," but that should not be a hardship; in my opinion, "Brotherhood" is, all things considered, Diana Gabaldon's best novel to date. And I'm glad I won't have to wait five years to find out what happened in Philadelphia that day. I have read every book in the "Outlander" series. Each book does reach back to the previous book but could stand on it's own because it does have a beginning middle and end. I felt that this book was disjointed and introduced characters and just left them hanging. (for the next book, I can only hope).Also situations were just left up in the air. It's not like an old time movie matinee, where you would come back the following week to find out what happens. This may take a year or two, and had I known this I would have waited for the next book to come out before reading this one. (this is just my opinion) If you truly love the Clare & Jamie saga nothing will hold you back. But for me I needed more of a solid conclusion at least to "the book at hand". I've listened to all the books in this series and love them all! 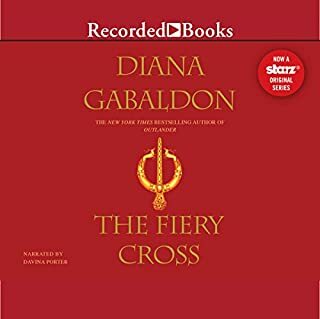 I'm anxious for the unabridged versions of "The Fiery Cross" and "A Breadth of Snow and Ashes" to become available on Audible. You might think that 45 hours of listening is daunting, but this book includes many new characters and their integral roles with the main characters. I'm curious to see if D.G. is going to flesh out Ian's character in her next book since I felt like she teased us with his role in this book. I was however, disappointed with the ending, it just seemed to stop. D.G. is such a wonderful writer that I expected a better ending than she delivered. Don't let this stop you from purchasing the book, it is well worth it. As one who loves history but generally finds historical novels a bit dry and too full of battles, the Outlander series has been a magnificent gift. Just finished listening, for the 2nd time, the entire seven volume series in anticipation of Gabaldon's 8th addition due out in June. Ha! Seven months absorbed in time traveling back 200 years. Delightful! 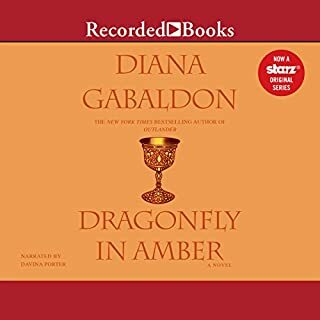 This second listen/read (always more rich to do both at once with Gabaldon) was far more exciting and rewarding than anticipated. Noticed many more fascinating historical details and the characters were more alive to me than ever. Gabaldon's character development over this 20 year period is intimate and dynamic. Claire is now my age in An Echo in the Bone and quite the avatar of my idealized self. Adore her many flaws, echoing my own, as the wisecracking, irreverent, bull in a china shop. If only to have her sexual prowess! What I especially love about An Echo in the Bone is the depiction of the Revolutionary War through the eyes of ordinary people, allowing me to finally understand the reality of that war. 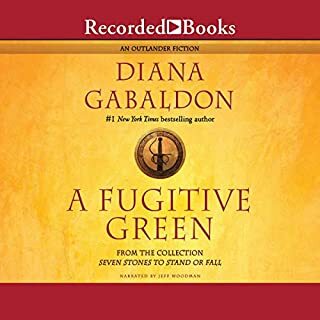 Her writing gets better and more colorful with each novel, astounding as her first volume, Outlander, was brilliant historical fiction, vividly penned with an impeccably crafted plot, surrounding characters whom you either passionately love or totally abhor. And so much humor and philosophical musing. Why her books are listed as Romance is infuriatingly baffling. They are definitely the finest of Historical Fiction, if not masterfully scribed Literature. At this point, 6-7,000 pages into the epic series, Diana can take me wherever she wants to go. 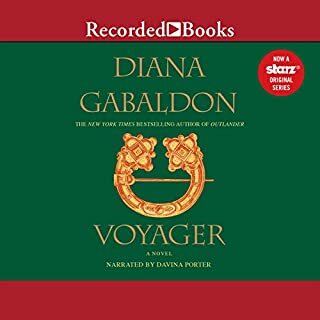 What's so great about this audio version of Book 7 is that it continues to feature voice actor Davina Porter, who must have performed nearly 300 hours in the Outlander series by now. Porter is magnificent, in part because she's able to create a variety of convincing male (as well as female) voices. This is a rare gift among audio artists. May she and DG live long and continue this partnership. Buy it, but it is not typical D.G. D.G. introduced me to the extreme novel...and I love them now because you get so involved with the characters. Diana's books are always lengthy and so vividly detailed, her characters are three dimensional because she gives such lavish and loving attention introducing them to you....Echo is a let down as she spent more time on the battles that she did on the people. I realize that Jamie & Claire cannot live forever and Echo is obviously a transitional book, moving us toward their ending and more into the lives of others that come after. I believe Diana tried to convince us that William has the warrior instincts of Jamie, but not the boldness or passions as he was raised by John. The nature vs. nuture thing. I believe she tried to inspire in us the fear of father vs son on the battlefield....but it came across as so much of a history lesson that the drama we crave got buried. I was very bored with the amount of time spent developing battles.... There were so many other things brought to the story in the end that could have been fleshed out during the meat of the story. We were hurried thru so much of the stuff that D.G. normally makes us see and feel deeply. One personal pet peeve...In an interview about Echo, D.G. promised that she would reveal why Jamie could dream the future, how/why he saw Claire in the future, and resolve the Jamie GHOST from Outlander....where he stares up at Claire and Frank's room BEFORE Claire falls thru time. Nope. Not in this book. If you love Jamie and Claire, buy the book because it is the next stepping stone in the saga and you need it to build your bridge to the end. Just don't expect it to leave you breathless like the others. At this point, we aren't reading these books for the historical battles. Unfortunately, that is what you get in spades in Echo. While the plot line for our beloved characters in interesting and shocking, you have to drag yourself through all the war intrigue and battles to get to it. The last 100 pages are filled with things we need to know but it feels like the publishing date rushed her to throw down the end story so what we get is a very abbreviated telling of these important and exciting events. This book SHOULD be wonderful. This story SHOULD be a payoff. Maybe the next book will give us what we all want. Jamie, Jamie, Jamie and surprising resolutions for all our favorite characters. As for the narration, Davina is perfection like always. Love! Love! Love! I don't know how she continues to do it and, oh my goodness, how long do we have to wait for number 8. Along with J.D. Robb and Janet Evanovich, Diana Gabaldon has me hooked. And I have shared that addiction with several friends and now they are just as bad as I am. Don't stop writing, pleaaasssseeee. Quelle histoire passionnante, et à nouveau, quelle merveilleuse interprétation de Davina Porter qui donne vie au personnage et à l'histoire. On a l'impression de faire partie de l'histoire, et les personnages deviennent comme des menbres de notre famille.